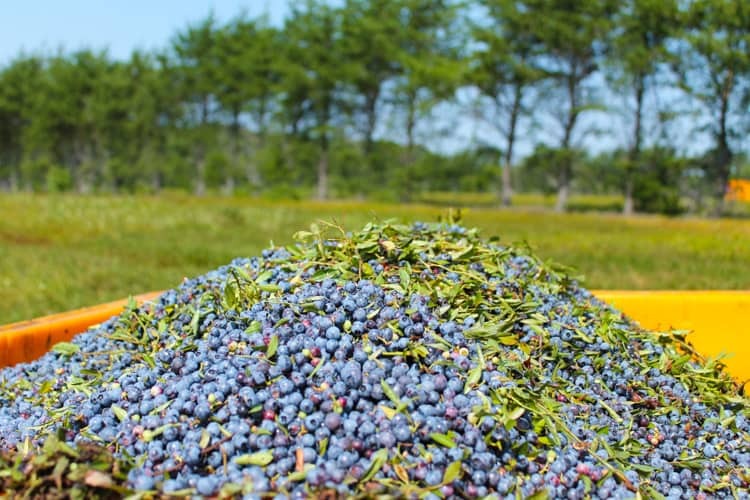 I was invited by Wild Blueberries of North America to an all-expense paid trip in Bar Harbor, Maine to learn all about the blueberriest blueberry – the wild blueberry. I was not compensated to write this post but I was gifted a Nutribullet for my winning smoothie. As always, all opinions are my own! 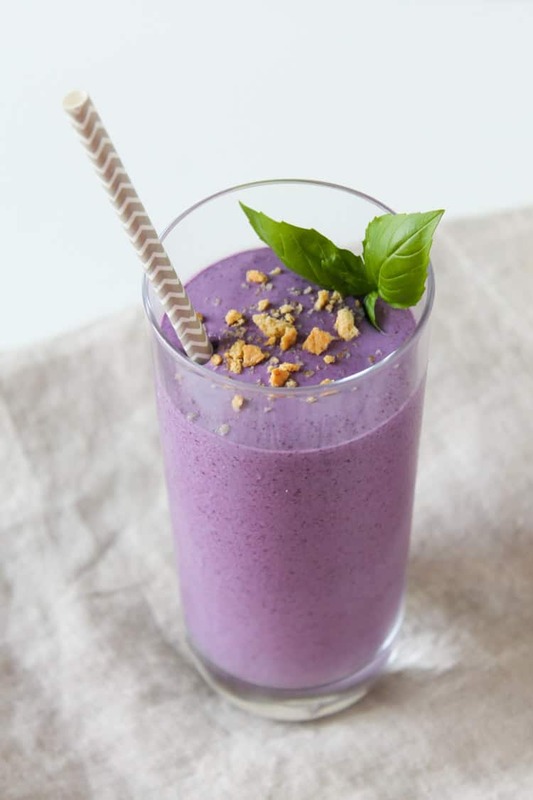 My award-winning Wild Blueberry Basil Cheesecake Smoothie tastes like dessert but (shhhh….) it’s actually good for you! 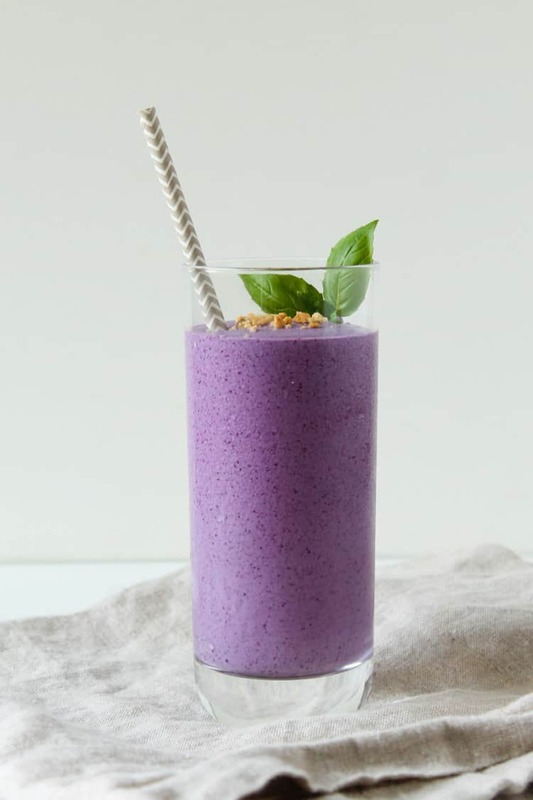 Packed with antioxidants, protein, and fiber, this smoothie takes just a few minutes to make. Breakfast never tasted better. A couple Sundays ago, I woke up early in the morning in Boston to loud sirens and construction on my roof. I desperately needed to get out of the city and seek some quiet solace. 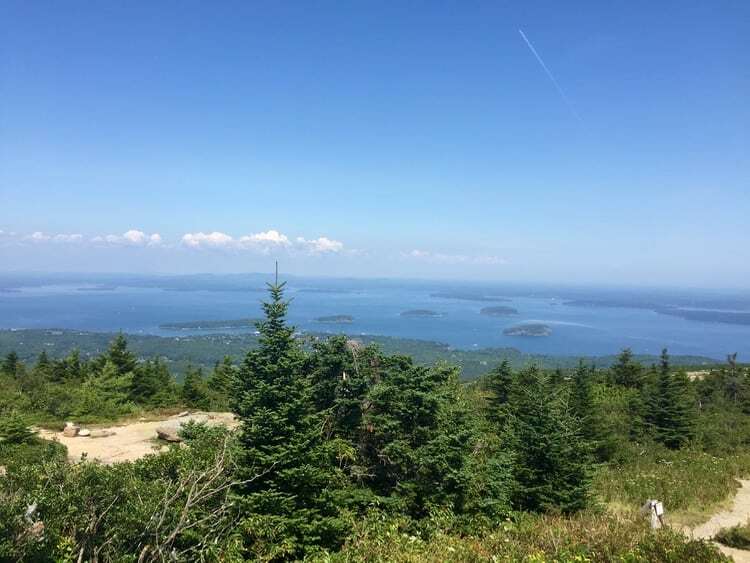 The wild blueberry fairies answered my prayers and just a few hours later I was running through the silent woods in beautiful Bar Harbor, Maine. Just what the doctor ordered. 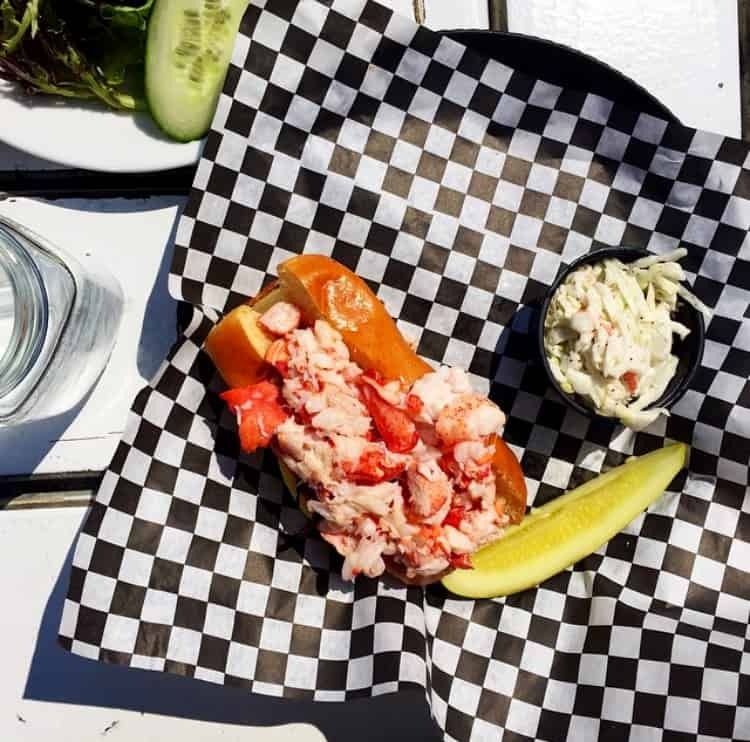 I then proceeded to eat the BEST lobster roll and made a conscious commitment that I would eat lobster every day while in Maine. Needless to say, I followed through on my commitment. I love going on press trips like these because it opens up my eyes to how much there is to learn about one food. And the wild blueberries are quite the unique little guy. 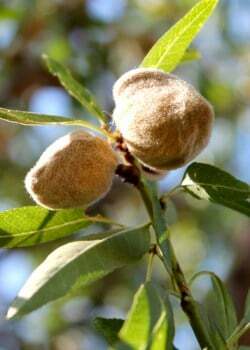 Small they may be but they certainly pack a powerful punch – they contain 2X the amount of antioxidants as cultivated (regular) blueberries AND 2X the fiber! They contain more antioxidants because these are some tough bluebz. The antioxidants (anthocyanins) which give wild blueberries their gorgeous blue color help them to thrive in harsh conditions with thin glacial soil and rough climate (if you’ve been to Maine in the winter, you know what I’m talking about). And these berries are 10,000 years in the making. Yes, that’s right. 10,000 years. Making them the oldest berry around. And because they’re wild, they only grow where mother nature puts them. They aren’t planted like regular cultivated blueberries. 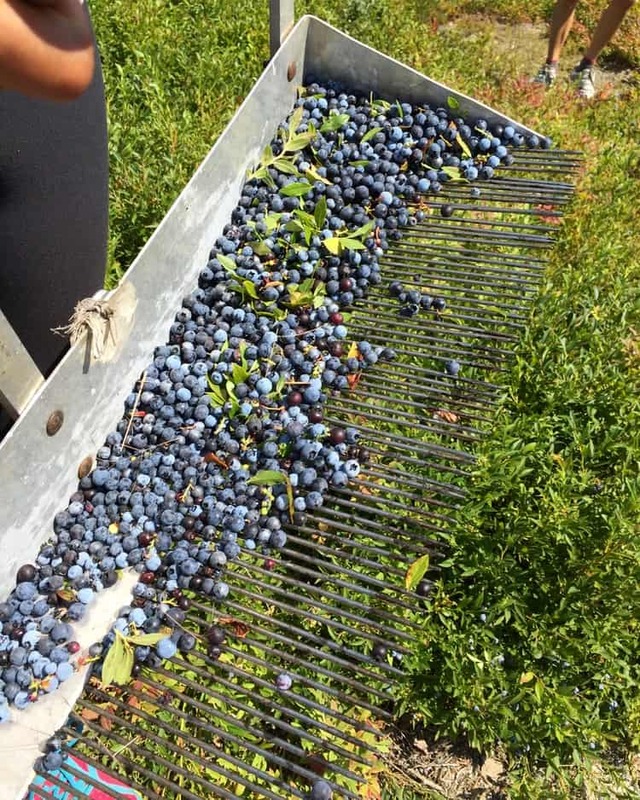 The wild mix of hundreds of different varieties is what gives wild blueberries their unique, complex, sweet-tart flavor. It was pretty spectacular to see all different colors, shapes and sizes in the wild blueberry barrens. And they all tasted so different! I got to pick sun-ripened warm blueberries right off the bush and it was like tasting warm blueberry pie they were so good. The darker ones tasted the most sweet to me – those were probably my favorite. Because of their delicate nature, only 1% of wild blueberries are sold fresh (they don’t travel well) and the rest are sold frozen or dried. But that’s great news for us because it means we can enjoy the delicious taste of wild blueberries and their antioxidant punch all year round. 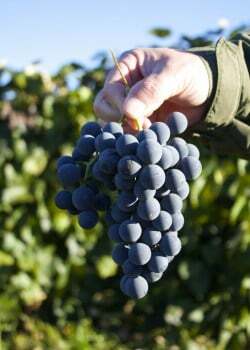 These bluebz are actually frozen within 24 hours of harvest, which means they retain all of their nutrients and flavor. 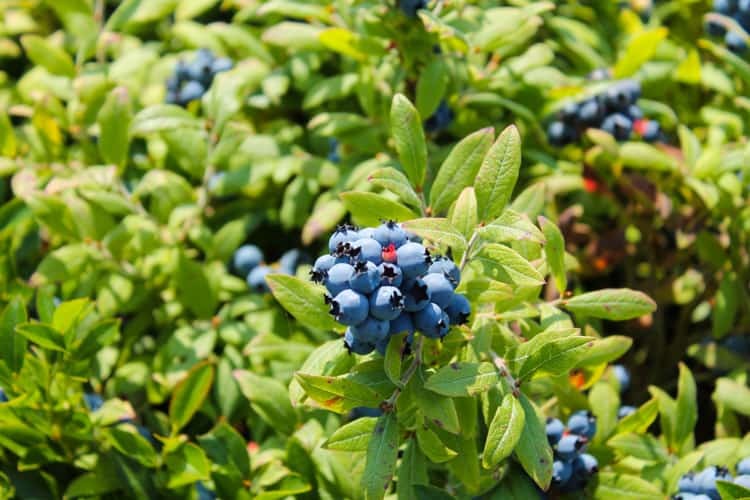 Because they’re smaller and contain less water than regular blueberries, they freeze better and maintain their color and flavor in baking and cooking. The wild blueberry barrens are breathtaking. You look out to see acres and acres of all different shades of colors. 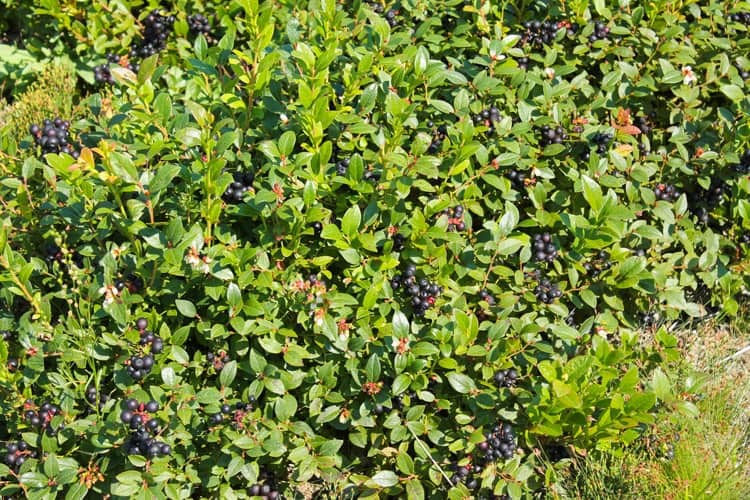 And down in those low bushes lie the wild blueberry. When they said these bluebz were low bush, I didn’t think they would be that close to the ground. But they are. I felt bad walking through the barrens like I was stepping on and crushing all these beautiful blueberries. The trip was a ton of fun. Not only did we get to explore the barrens but I also got to catch up with old friends and meet some friends in-person for the first time. Loved seeing my Blog Brûlée alumni friends, Jessica of Nutritioulicious and EA of Spicy RD Blog. And getting to meet my Instagram friend, Alexis from Hummusapien, in-person! Plus, we wined and dined well throughout the trip and there was no shortage of wild blueberries on the menu. 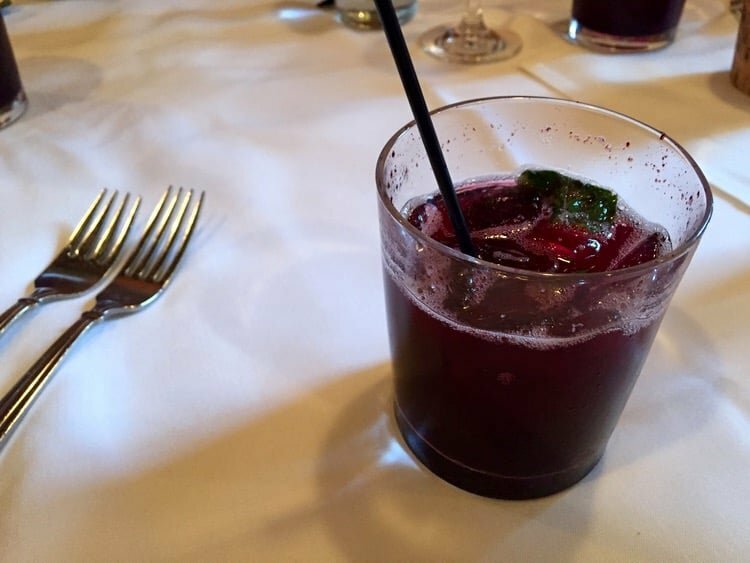 Wild blueberry mojitos were phenomenal. 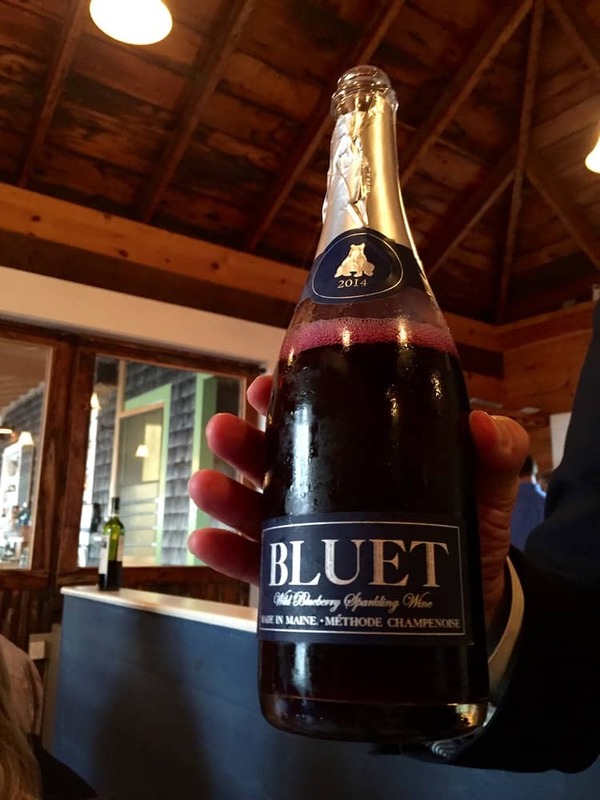 As was this wild blueberry champagne made with ONLY wild blueberries. And it was surprisingly very dry. Delicious. 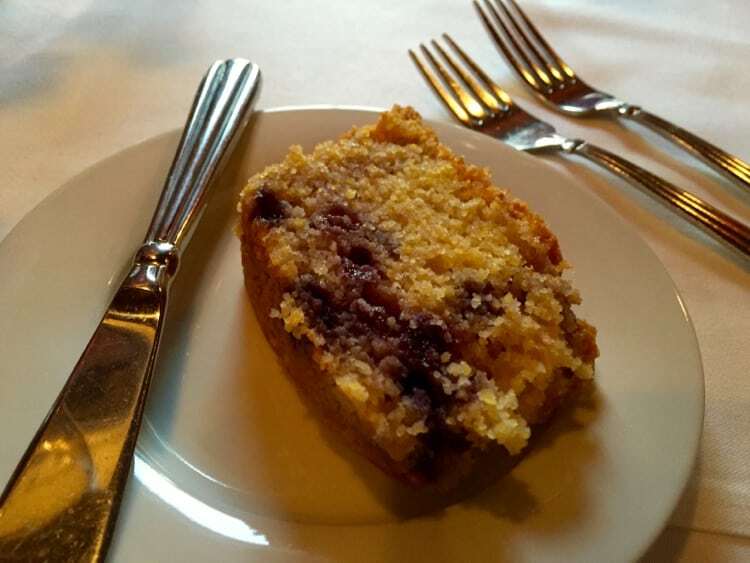 Wild blueberry cornbread fresh out of the oven and still warm was heavenly. 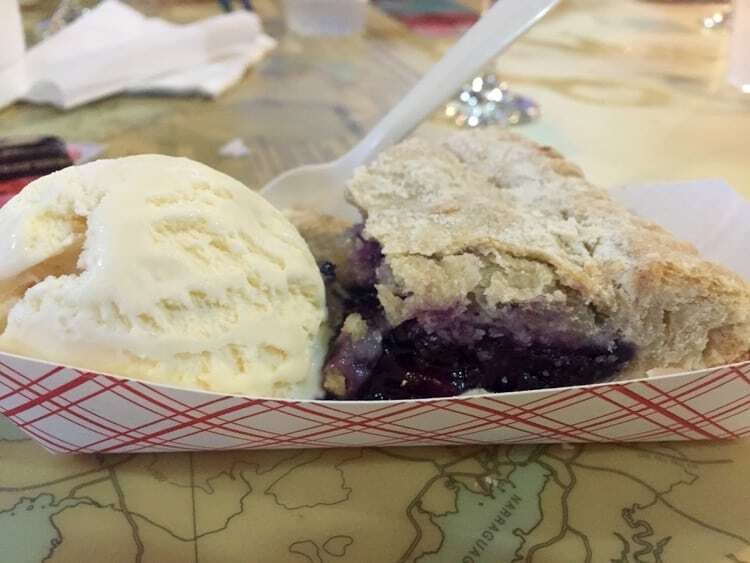 And it wouldn’t be a trip to Maine without wild blueberry pie. So glad this made it onto the menu our last night! 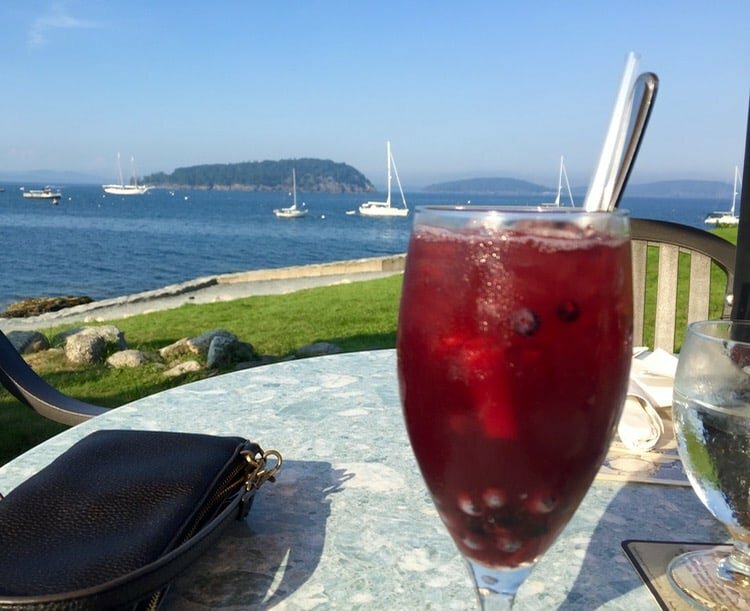 And I enjoyed this view (and the wild blueberry sangria) one day during an afternoon break with the company of the lovely Sarah-Jane Bedwell. 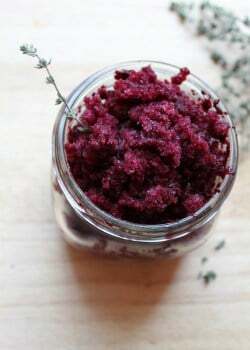 Anyone remember the Wild Blueberry Lemon Thyme Granita I made a while back? If you’re looking for more wild blueberry recipe inspiration, my RD friend EA (who also attended the wild blueberries trip) put together an awesome wild blueberry recipe round-up with 30 different recipes! And don’t worry I wasn’t going to leave you hanging without a new wild blueberry recipe. As part of the trip, we engaged in a little friendly competition in a smoothie making contest using wild blueberries. We sent our ingredient requests to the team ahead of time and they had nutribullets set up and ready to go. I looked around at my RD friends who had tested and written out their recipes ahead of time and started to feel nervous and totally unprepared. 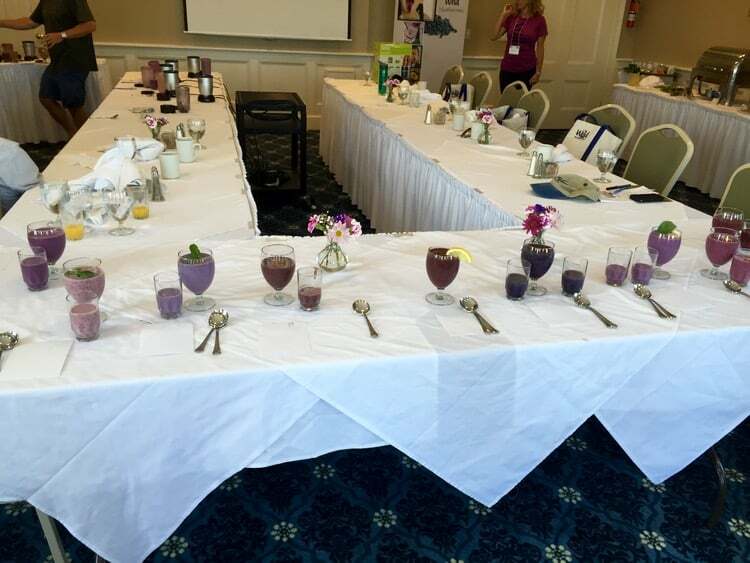 Luckily, winging it was on my side because my Wild Blueberry Basil Cheesecake smoothie was named a winner by The Bar Harbor Inn’s Executive Chef Louis Kiefer! I guess my strategy in making a smoothie taste like a dessert was spot on (kind of like when I made this strawberry rhubarb pie smoothie). 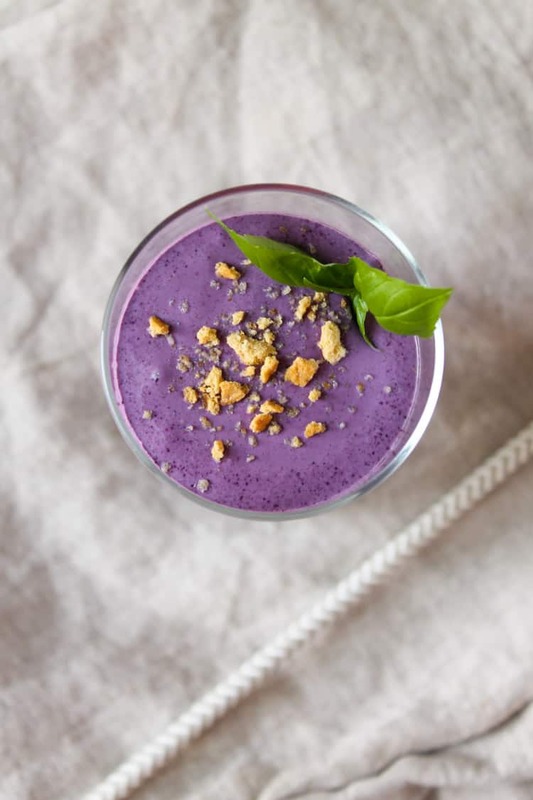 For more wild blueberry smoothie inspiration, check out the other RD-approved smoothies on the Wild Blueberry Blog. 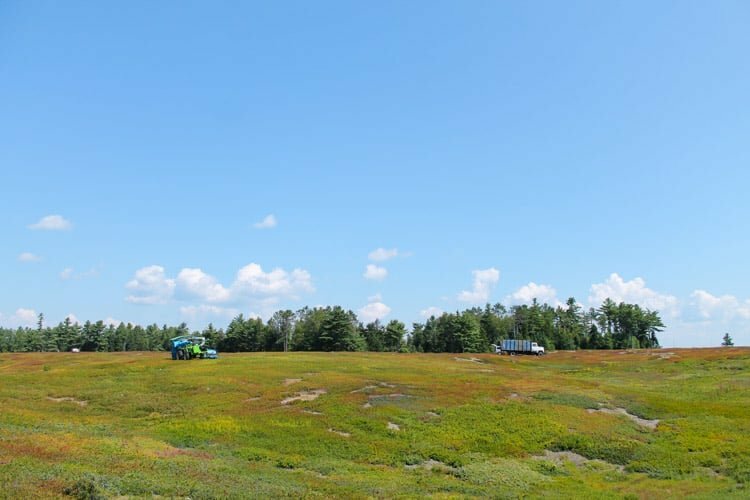 And for a closer look at GORGEOUS Bar Harbor and the wild blueberry barrens, check out my latest YouTube video – a visit to the wild blueberry barrens! Tell me, have you ever tried wild blueberries? Were you aware about how they differ from regular cultivated blueberries? great recipe! I would love to make this smoothie for my office. Can you tell me how many serving does the recipe yield? what kind of powder protein did you use? In case I decided not to use protein powder do you think the flavor will be altered? Hi Gladys! This recipe yields 1 serving. I used Vega vanilla protein powder. I don’t think the flavor will be altered much without the protein powder – go for it! If only I could put in the heart eyes emoji!! So much to love about blueberries (and Maine). 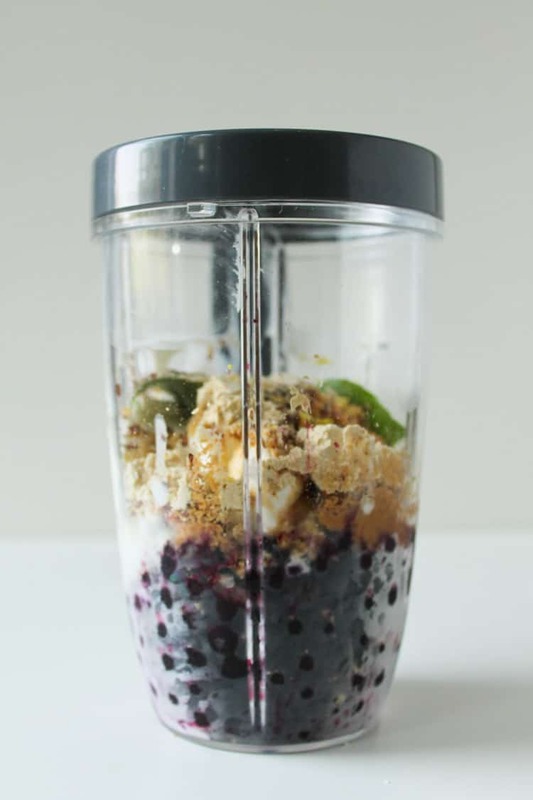 I finally have a blender so I can make this smoothie – yay!! Boy, oh boy do I love wild blueberries! Thanks so much for this great post and those amazing pictures! This recipe looks so yummy! Going to give it a try this weekend. Thanks Kara! Thanks, Sara! Hope you enjoy it! Oh- this ingredient list! All of my faves! Fabulous! 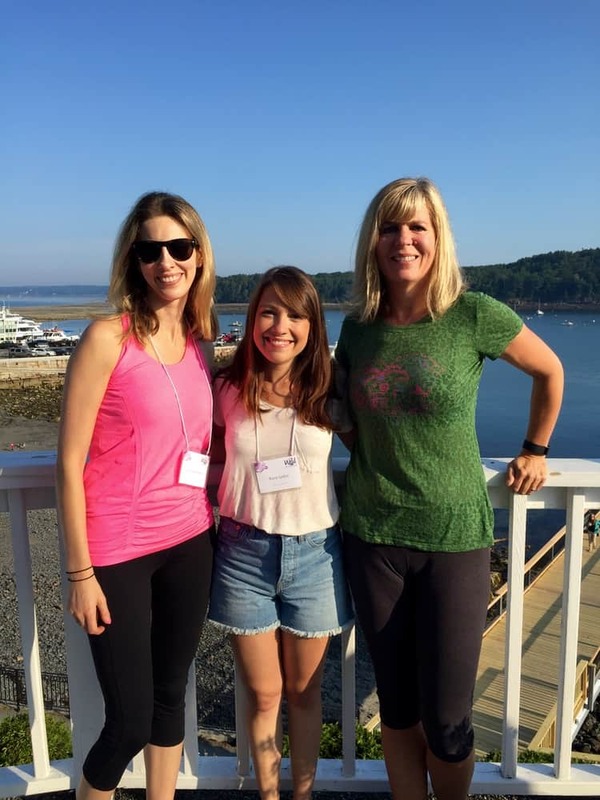 I’m thrilled to see young dietitians with creative websites and yummy ideas! 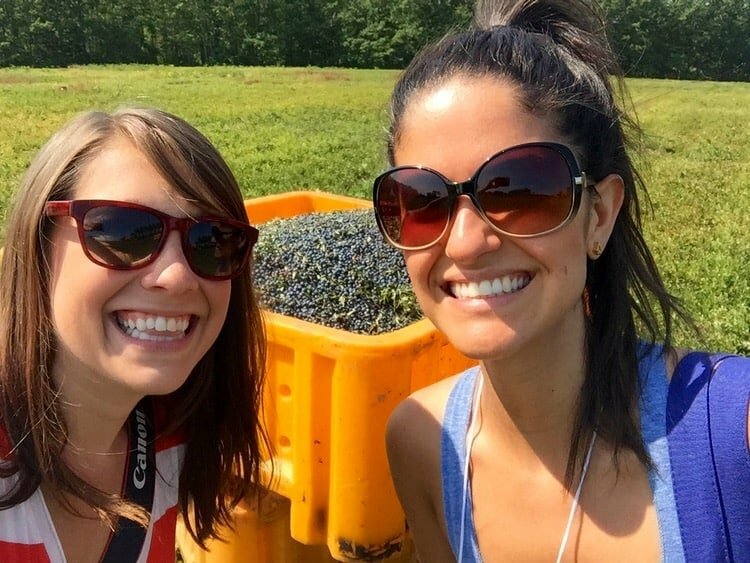 Great recap Kara! Was so great to see you there! And congrats again on your winning smoothie recipe! Thanks, Jessica! Was wonderful seeing you there and catching up! 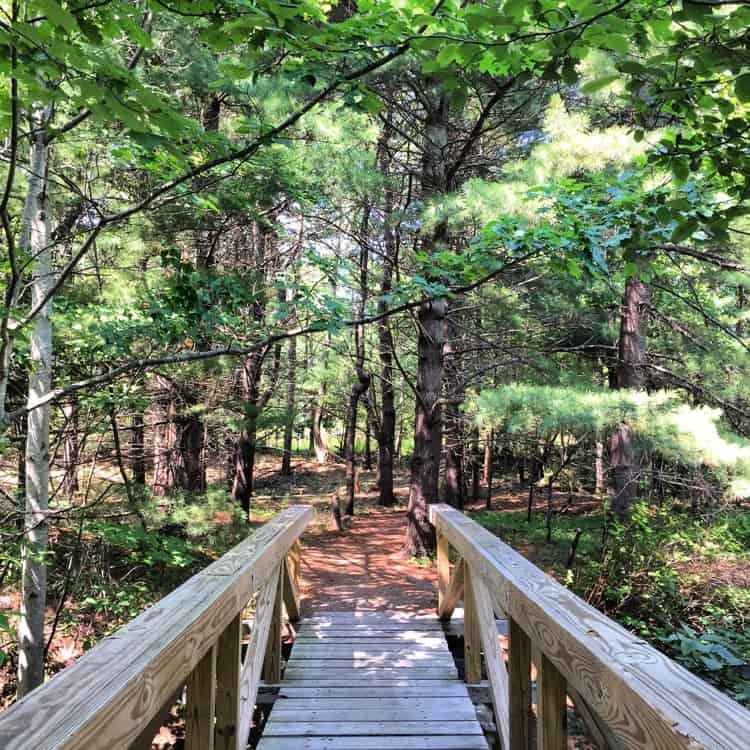 Great post & photos Kara! It was so fun seeing you again, and indulging in all that lobster & wild blueberry deliciousness :-). Congrats on your award winning smoothie-can’t wait to recreate it at home!! All those blueberry things you had look soo good! I love putting cottage cheese in my smoothies. I went through a phase where I was making apple pie flavored smoothies with cottage cheese every day. Great pictures and narrative of this trip, Kara! Your smoothie was amazing! Thanks, Lauren! Let me know what you think if you try it. Enjoy! What a great trip!!! Love the shots of the rolling hillside. I had no idea that there was 2x the antioxidants in wild. I wonder if that has to do with the surface area of the skin or something. So interesting! Thanks, Katie! It does have to do with the surface area of the skin and that you’re getting more blueberries per serving because they’re so tiny! Congrats on your winning smoothie! Maine looks beautiful, I’d love to go there someday. 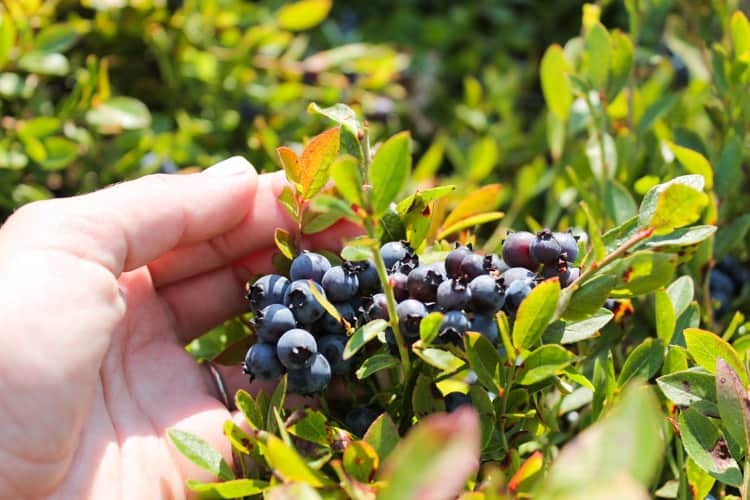 I recently had wild blueberries in Michigan’s Upper Peninsula – they kept me sustained during our long hikes. Loved learning about them in this post! Thanks, Amy! I would highly recommend Maine for a vacation destination. It’s SO beautiful. 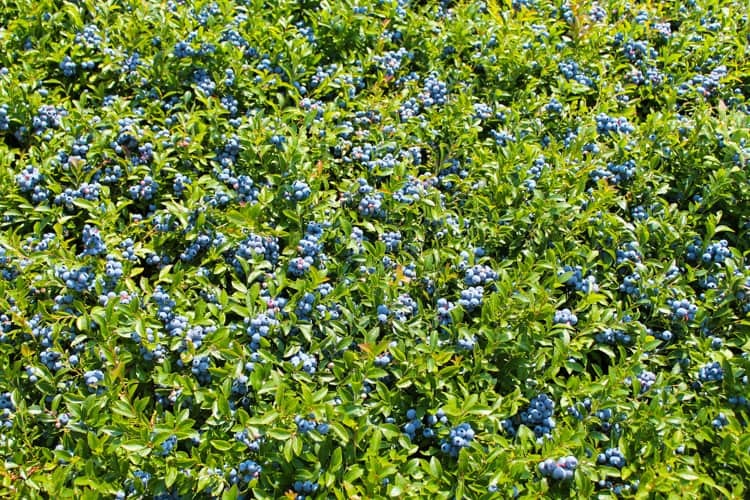 Glad to hear the wild blueberries sustained you during your hike! we’re going to Maine next month and it’s my goal to eat lobster everyday as well. 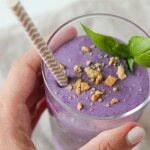 I love this smoothie recipe And that pop of purple!